Right now you can get this Amazon Echo Dot 3rd Generation for just $24 shipped (Retail $49.99) – available in three fabric colors to compliment your decor. The Echo Dot 3rd gen has a new design and improved sound! 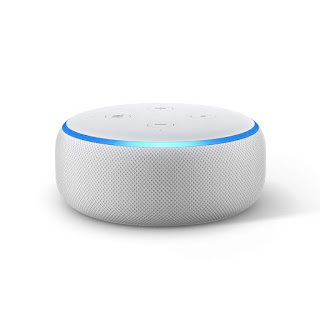 Connect to the Alexa Voice Service to play music, ask questions, make calls, control the smart home, provide information, news, weather and more. As another option, you can score the Amazon Echo Dot 3rd Generation AND Amazon Smart Plug for just $29 shipped (Retail $74.98). The Smart Plug does not require a smart home hub, and you can use it to ask Alexa to turn off your lights or turn on your coffee! Note that this bundle will be in stock on December 2nd and will ship once available.